In the vast stream of content marketing, color helps you stand out when used properly in your visual content. Color is a cue that grabs your audience’s attention. 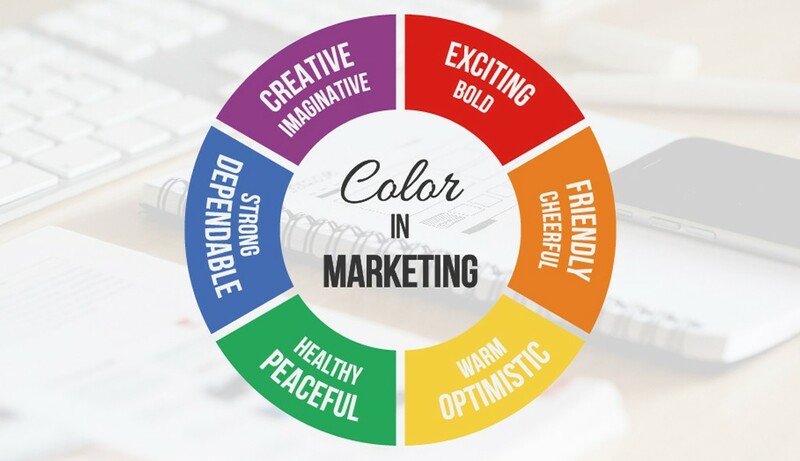 The use of colors helps you make them see what you want them to see and invoke the emotions you want them to feel, and ultimately to persuade them to give your product or service a try. Color also plays an important part if your content is appealing or not. Color can influence and affect the message you want to send.If you have a great material content that has overwhelming information, but you have poor color choices, expect that your CTA ( call to action) will be ignored. The psychology of color as it relates to persuasion is one of the most interesting and most controversial - aspects of marketing. The reason for this belief of practice is that, most of today’s business conversations about colors and persuasion are made up of hunches, anecdotal evidence and advertisers blowing smoke about : colors that affect the decision-making process, most particularly, a buyer’s decision to buy product or contract a service. A great understanding how colors works isn’t just for artists putting together colors and mix and matching until they get visual satisfaction.. anybody using content marketing in their brand visibility needs to have a deeper understanding about the basics of color theory. Since the first day of school we have been taught about the primary colors that exist. They are, Red,Blue and Yellow. We refer to these colors as stand alone.Without them all other colors cannot exist. Their combined assets create the secondary colors. Secondary colors are made up of purple, green and orange. They come to life after each primary colors are mixed with one another or simply put, the secondary colors are what you find between 2 primary colors. Tertiary colors are the exponential colors made up usually of two-names. Have you had the chance to hold the 64 box of CRAYOLA ? Notice there are colors with red-purple, red-orange and all other colors you will find with two-names on it. They are created by adding more of one primary color to another, the resulting color is something closer to the primary color red, yellow and blue. You create a tint, whenever you add the color white to a pure color.Tins are often referred or most commonly known as pastel colors.They are usually lighter and more pale than any pure color and lacks vividity. Tints range from slightly whiter to almost-white in appearance. A pure color when combined with black color creates a shade. Often times the effect on pure colors is to darken and dull the their brightness o, producing the color sets from slightly darker to almost black in appearance. When you think of color tones, it literally means to subdue the color to a lesser intensity. Tones are achieved by adding varying amounts of grey (black and white)to a pure color. What we just did is give a you rundown course about the color wheel. Now you know all about the differences between primary, secondary and tertiary colors. And now you have an understanding of when to say tinted, shaded or toned. Understanding the color wheel to adapt or implement in your visual content strategy is like learning about Fashion Math, where you have to learn what color of garment works well with another color. Color techniques becomes equally important when you start to design your visual content for your marketing and advertising objectives. Contrast is elemental when you want your visual content to stand out. You will need a visual designer who knows the importance of contrasts to avoid disagreements in the future. Contrast is basically what sets apart one element from another. It offers easy identification of text and object from the background of any given visual. You have high contrast is when you can easily separate or identify colors from one another and its low contrast when you can’t distinguish one from the other. If you are used to believing that contrast is the difference in color, it’s time you stop. Two colors can be different at the same time but they may provide no contrast, however their tone is the same. Yellow has a brighter appearance, while blue has a darker appearance. Red and orange being two distinct colors have little contrast with each other. Takeaway - if you have two different colors that have the same level of gray, or to put it simply, tone, they will not have much contrast against each other. Remember, contrast is not having two different colors, rather, its the visibility of one against the other when placed side by side. This may come as surprise but it is generally accepted in the world of design that the higher the contrast the better the outcome of any visual design. With reference to content marketing, implementing high contrast is very very important as visibility is always the aim. When using colors to identify your brand or to make your content stand out, it is very important to know how to implement high-contrast, for the simple reason that it is the best way to make your content become easily visible to your audience. Again, similar to Fashion Styling, when you want to be clear and simply noticeable all you need to do is to put together to opposite colors together - say, white on black or black on white - same goes for content. Use high contrast when you are pointing out an important detail about your product brand or service or simply when you need to have your campaigns easily noticed. Low contrast techniques works best for non-essential content - go back to Fashion Math, where you can accessorize with a few shades lighter to accentuate your outfit - it provides a similar point to using low contrast when doing your visual content. In another blog we talked about Infographic creation and we have discussed in detail how choosing the right colors will affect the overall success and readability of the infographic content. Similar to this blog, we are simply identifying how you can fully use the color wheel to use advantage when creating your visual content. In a study conducted by the University of Toronto found out that most Adobe Kuler users prefer to use 2-3 basic color combination to heightened their creations. 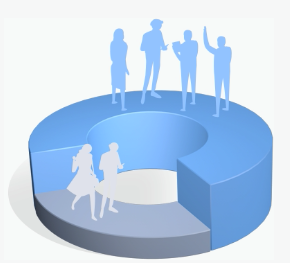 You have to offer content that is visible, easy to understand and easy to retain. As discussed above, each color represent certain emotions and persuades in different lengths. Using the color wheel will greatly help you to ease out the challenges of putting the appropriate colors for your visual content. If you want your content to stand out, then another key component of color is using complementary color combinations. Complementary colors refer to those colors you find on the color wheel to be the direct opposite of another color. They are the colors you find that visually does not exist or influence the other. You will find that Red is goes toe-to-toe with Green, while Yellow is located opposite of Purple and ultimately, color Blue is complementing orange. Why is complementary color combination vital to your visual content creation, simple - Opposites attract - an olden rule that also applies to color usage or combination. Have you seen how beautiful a red apple stands out from a bunch of green apples ? Again Red is the opposite of Green. The eyes get tired when its overwhelmed with single color, so what you should do to avoid visual overwhelm is to place the exact opposite to to counter the appearance of the visual monopoly. The use of complementary combination is the easiest and fastest way to make something stand out from the crowd. A simple reminder though, never balance the quantity of each color, the combination should always be 25-75 or vice versa. The point of complementary combination is to make one color to stand out - and not to have them together. If you cannot resist the idea of using three colors, use the rule on Split complementary color schemes - for this to happen you will have to choose one color to act as base and then use 2 colors adjacent to each other’s opposite. We refer to colors sitting next to each other in the color wheel as Analogous color. these are sister colors. They are colors that can appear together without undermining one color. Use analogous colors in depicting transitions as the can offer to be easy on the eyes. If you want them to stand out, you can add a complementary color to it. Monochromatic as the word itself suggest mono- meaning one - refers to colors with single color together with its tint, shade and tone. They are softer and more subtle that your average sister or analogous colors. Monochromatic colors are colors with a single hue. You can enhance a monochromatic color with a single complementary color. Another indispensable and creative color creativity is using shapes to get the perfect matches for your chosen content. If you’ve run out of options on which color to use for your content - try visualising or putting the following shapes on on the color wheel and you will get another set of colors that looks great and defined when put together in one visual. The triangle creates a TRIAD - as the word implies, you will get three colors that are evenly spaced in the color wheel - just draw a triangle and you will get three colors to use. The TETRADIC or rectangle will give you four colors that is composed of two complementary pairs. The square is akin to a rectangle palette, however the sets of complementary pairs are colors equidistant from the circle. Using these combinations can be tricky. If you get it right you will get a good visual content, otherwise, you risk creating a noisy, disproportioned visual. Safely use one color as a dominant and the rest, use in supporting or highlighting role. Read more in Part 2 of this series. Payman Taei, interesting read and absolutely insightful post. The shared resources are also helpful. I am a designer and an early UX developer. After reading this, I am rethinking on my earlier understandings on design and color usages. Collected few points where I need to think, implement and iterate to see how those work for our client’s sites. Thanks for sharing this post, really enjoyed. Your Welcome Susan. I find colors play an important role in the emotional aspect (in addition to creativity) of connecting with an audience and envoking emotions. Gostei das suas explicações. Elas são muito importantes para usarmos em nossas criações. I enjoyed their explanations . They are very important for us to use in our creations . Please check spelling and grammar! We must not forget that some people won’t be able to tell the difference between red and green apples! So, when designing with colour, please consider the colour-blind people and avoid using red and green – or colours alone – to communicate or present information.